This Saturday July 7th, 2012 will be a special Customer Appreciation Day at the Portland Orvis Store located at the Bridgeport Village. It's time for our annual Fly Fishing sale in the store. Its the one day a year that they extend the 20% off coupon for almost everything in the store including sale merchandise. There will be free BBQ from Pine Shed Ribs, free beer from Ninkasi brewing, and Eric Neufeld will be there giving a presentation on the life cycle of Caddis flies and matching them with the awesomer offerings from Idylwilde flies. 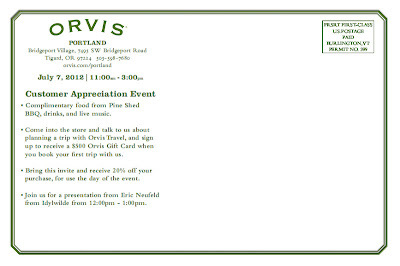 I know this is late notice but that is because we are trying out a new offer from Orvis travel and they didn’t want us to spill the beans too early. 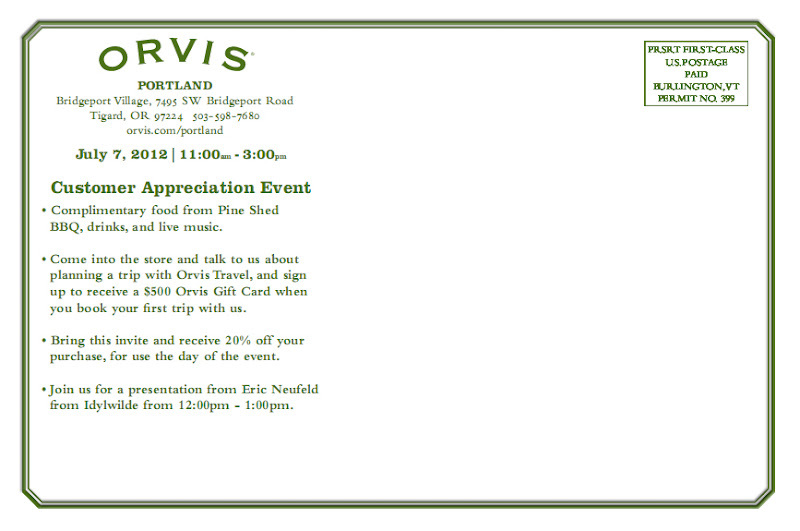 If you give us a name, email, and phone number to be on the Orvis travel email list you will receive a $500.00 gift card the first time you book a trip through them! Its an unbelievable offer so even if you don’t have a specific trip in mind right now take advantage of it. For those of you on the fence about going to Belize with me the other offers still stand so you would get this in addition to the the free rod, 15% discount card, and the $200 gift card for booking with a friend. It will be the best deal on a trip to Belize you will find anywhere! There is only one catch, this is only good for one day. Come in tomorrow July 7th and take advantage of this! See you tomorrow! 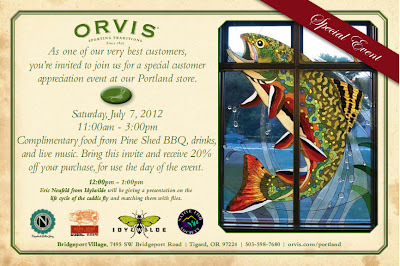 We hope to see you at the store this Saturday July 7th from 11am-3pm!!! Don't miss out on a great opportunity!! !